The NZ dollar foreign exchange market tested the support levels at the bottom end of the NZD/USD trading range below 0.6750 over this last week. It appears the Kiwi dollar as held its ground against any selling pressure coming from expectations of interest rate cuts from the RBNZ early next month. The NZD/USD rate has returned to 0.6770 after trading as low as 0.6716 on Friday 12th April. In an interview with Bloomberg, RBNZ Governor Adrian Orr seemed to be implying that it would be quite a high hurdle to justify an OCR cut at the next Monetary Policy Statement on 8th May. As he stated, such decisions to change monetary policy settings are always dependent on the economic data that come out over the intervening period. 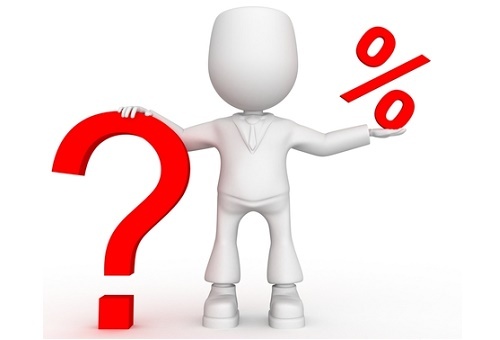 The local interest rate market does not seem as convinced in their forward pricing that there will be a 0.25% reduction in early May, contrary to what a couple of banks are now confidently predicting. Certainly, New Zealand domestic economic data trends and forecasts at this time do not suggest that a major economic slowdown is on the horizon that would require additional monetary stimulus as a response. Interest rates below 2.00% is already a very accommodative monetary policy at a time the Government is loosening fiscal policy with major spending increases. It is a very brave (or mis-guided) central bank that would significantly loosen monetary policy at the same time fiscal policy is also very loose to stimulate economic activity, spending and investment. Only major global economic catastrophes and crisis like the 2009 GFC (when world trade stopped) would justify the dual economic stimuli concurrently. We are certainly not in that same situation today with the NZ and global economy. However, observing some commentator’s doomsday scenarios, which perhaps receive more media coverage than they deserve, some people could be excused for being less than optimistic on the future. The danger of loose/loose monetary and fiscal policies working in tandem is inflation running away as demand exceeds supply across the economy. The question for the RBNZ is whether the OCR interest rate is required to be lower today to cause the economy to generate a 2.00% annual inflation rate (target mid-point of their 1.00% to 3.00% band) in 12 to 18 months’ time? 1 NZ business confidence remains at a very low point, thus weak business investment and slower growth. Confidence is not low because business firms are particularly worried about general economic conditions, instead they are very uncertain about past and potential Government policy changes on employment, capital gains tax and foreign investment. It is incumbent on the Government to stop the uncertainty by either making or dropping their planned policy changes. 2 The housing market is the dominant determinant of NZ economic performance through consumer spending activity. Decreases of 7% over the last 12 months in Auckland house prices are a threat to the economy (despite Auckland house prices increasing 70% over the previous five years). Primary and export industries are the major determinants of GDP growth in NZ and thus commodity prices are key. Currently our Terms of Trade index (import and export prices) is at 40-year highs. GDP growth is not under threat of softening too much at all. Provincial New Zealand is currently quietly enjoying favourable economic conditions; however, they just do not get as much media air-time as the cities. 3 The global economy is headed for a major downturn due to the trade wars and thus lower business investment. Forecasts of a significant global slowdown may have been valid in November and December; however, a lot has changed since. China’s monetary and fiscal stimulus is now bearing fruit, the Fed have U-turned on interest rates and a US/China trade agreement is imminent. The three new external members on the RBNZ’s Monetary Policy Committee may want to think about the above as they go into their first meeting over coming weeks! Global economic clouds increasing or waning? The RBNZ cited global economic risks as the reason for the new monetary easing bias last month. They are not necessarily the only ones arguably behind the 8-ball on rapidly changing (i.e. improving) international economic conditions. One of the local big-four accounting firms published this macro-economic outlook recently: "The country’s superior economic performance is past its peak, as businesses confidence remains heavy as profit margins are squeezed. A number of tailwinds supporting the domestic economy over recent years are subsiding while more dark clouds quietly gather on the global horizon." They might be right about business profit margins, but off the mark in this author’s opinion on tailwinds (house prices v’s commodity prices) and global clouds. The FX market focus this week will on the NZ Consumer Price Index figures for the March quarter on Wednesday 17th April. An increase above the +0.20% RBNZ and consensus forecasts for the quarter would be positive for the Kiwi dollar and send it up through 0.6800 again. Global dairy trade auction results for dairy commodity prices also on Wednesday morning should reaffirm recent strong gains, another a Kiwi dollar positive. Australian March employment data on Thursday 18th April is forecast to be a 12,000 increase in jobs. A higher outcome could be a catalyst for the FX markets to send the AUD/USD exchange rate above 0.7200 and in doing so break above key chart points. Political risk factors ahead of the 18th May Australian Federal elections appears to be the only factor that will hold back further AUD gains. The new downtrend in the NZD/AUD cross-rate is likely to extend into the 0.9300’s as a result. I agree that business confidence is low due to uncertainty around policy and they should provide clarity. However, if the government doesn't then what? Is it up to the RBNZ to stimulate the economy by providing a cut? Government policy or lack of certainty on its policy direction is certainly not helping. In fact, it's detrimental. But the property market had started to slow substantially before the current government was elected. In construction, the sector was already facing big headwinds with high land and construction costs, labour shortages etc etc. It's disingenuous to say the government's policies are not having an adverse effect. It's also disingenuous not to recognise the fundamental issues that existed before the current government was elected. These issue are starting to come to a head, and they would have also come to a head had National still been in power. The thing is, if the government actually had its act together it's policy decisions (or indecision) could be balanced with stimulus. For example, the private construction sector is on the way down, surely the government has had enough time to get some momentum preparing for large scale house building. What's happened to Unitec, for example? Radio silence. New Zealand is a housing based economy, effectively one rather large ponzi scheme. It has trod that path for the past two decades. The key drivers of our economic growth, are all housing related, in particular Auckland. Auckland drives that growth from a regional basis . It has stopped growing even as population growth has surged. Looking back at Interest's wonderful charts, the past three months sees that the combined Auckland residential sales numbers are the lowest since their records commenced , some 27 years ago. By this time next year between 20-25 percent of all Auckland households will have seen no appreciation in their housing wealth, many will face interesting issues as they go to reset their mortgages, particularly if the OCR is kept at current levels. Could you please elaborate on the interesting issues many AKL households will face as they go to reset their mortgages? The reason why things are holding together, is because of liquidity injections over the past 18 months, and a lower exchange rate. It’s the NZD value of exports that matter for the property market valuations & growth. Think about the NZD as something that balances the scales, a great normaliser in a sense. If export prices fall dramatically, the Kiwi falls (or is dragged down) and the NZD value of exports stays the same, which is all that matters for our exporters. Thus property prices & economic growth stay the same as they are a function of NZD export values (think national incomes). Real growth is different to that. You see falls in inflation adjusted property prices & real gdp growth, as the Kiwi falls, due to the inflation in the tradable items. However for economic management, nominal is all that matters for the most part. The thing I feel Roger doesn’t understand is this.. At this stage with what’s going on, the real inflation adjusted cycle is down in a number of sectors and major assets, without question, when accounting for bid/offer prices in the actual market (not index prices). The reason everything hasn’t fallen apart, and the reason you don’t see it in the numbers, is largely to do with the RBNZ. They’re cutting rates so all things equal everything stays the same as it is today. They’re actively offsetting deflation. Think about the huge rate cuts from 2015-2016, and it’s only generated 2% inflation, how much deflation/weakness was offsetting those rate cuts? They could cut the rate to 0% and Roger would still be saying it’s unjustified, but I feel he doesn’t account for the actions of policy makers when looking at nominal numbers to determine economic strength. I’m not talking about using a CPI deflator here either. It’s very hard to spot downturns in NZ, especially in the property market. But when you study long run cyclicality in NZ property, you see that downturns happen all the time, and they’re totally normal and benign, and nothing to worry the average joe in the slightest, it only matters for a handful of institutional/large players who are actually interested in long run real returns. Property cycles have huge impacts on the currency values, thus it matters for FX traders, but they usually respond to policy makers actions and aren’t aware of what policy makers are really responding to, i.e the heart of the problem. Roger still thinks of the exchange rate as some exogenous item, that is its own asset class or tangible item. While currencies do have intrinsic value, for the most part they should be viewed as something that ‘balances the ledger’ and maintains nominal price stability. You can apply this to all global currencies together, against world growth. I love the stuff so its fun to write about but I’m mainly writing this because it just ticks me off seeing this sort of analysis go unchallenged or corrected, as well as absolutely loathing the status quo exchange rate theories, because they’re removed from reality/i can’t find any solid evidence they map totally to the market over long and short run horizons. I found the whole idea that the RBNZ would definitely cut next month (and some even talked up another cut in August) based on a revision to the wording saying that the next move was expected to be down rather than up rather fanciful. It seems people are used to Graeme Wheeler's obfuscating communication style, whereas Orr is much clearer. He's simply signalled that the next move is likely to be down, not that such a move is likely to be soon. I think if Orr were signalling a cut in May the wording would have been something like "the current market conditions indicate a cut to the interest rate will be required in the near term". Assuming Roger is right, I don't, although his opinion is reasonably in accordance with current events. The next recession when it arrives will require at some point stimulus which historically has been a cut in interest rates and I suspect our new RBNZ Governor is seeing this, possibly through his telescope and researching back to the 1960's shows a 3-6% reduction was required to turn the recessions around and no Western Capitalist country has rates at even 3%. The Fed understood this and was raising rates in a transparent way until POTUS stated the Fed were wrong and that their rate rises would cause a recession which historically was also correct. Perhaps there is an unseen agenda that will fix everything, but I gave up believing in the tooth fairy decades ago, so what is left, a muddle through, a Jubilee, a Crypto currency, a War, 50 years of Austerity whilst the world reduces/eliminates its debt. If you have the answer please e-mail me privately and we can share the profits. My pick is that an unexpected event or result say Brexit, has already occurred following a court decision on Mays date extension and we will all be tipped into a cold bath sink or swim. Reading the markets ay? There are far too many dials on this machine for the current government to comprehend. Their indecisiveness is this nations achilles heel. Having said that, there's no way the opposition could currently govern with any ceremony either. They needed a rest. So, what have we got? We have Mr Orr with his oar, a dysfunctional government & a lot of things beyond our control, with the rest of us trying to guess which way things will go. Good luck with that people.